In the wake of major government leaders gathering with the UN General Secretary at an international conference in Kuwait pledging to raise $6.5 billion to respond to the Syrian humanitarian crisis, the relevant question is whether the money really gets delivered after all the big announcements. For example, this year’s request for Syria is the largest ever, but last year, only 70 percent of the money pledged by donor nations to Syrian relief actually showed up. 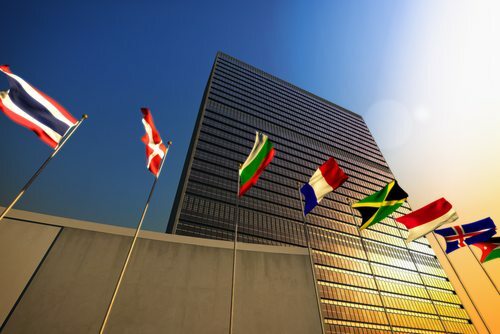 Compared to other years and other UN requests, 70 percent is even rather high. The findings aren’t pretty. Writing for the Global Post, Jacob Kushner says that only 5.4 percent of U.S. government spending in Haiti in fiscal 2012 went to Haitian organizations or companies. The problem appears to be resistance in Congress to reform of USAID practices, particularly in terms of food aid, a topic covered in the NPQ Newswire previously. But there is a particular problem in aid to Haiti. 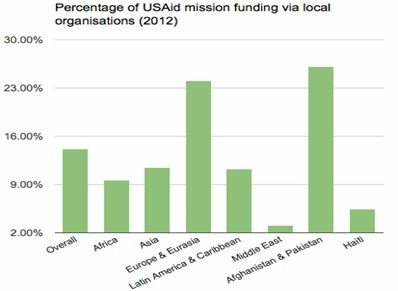 USAID’s global average of funding local groups and companies is 14 percent—still low, but not like the percentage in Haiti. Making it even worse is that aid programs from USAID and international NGOs have long been active in Haiti, but it appears that there has been little success in building successful locally controlled governmental and NGO structures that the U.S. government trusts enough to turn the funds over to them. That keeps Haiti in a position of perpetual dependence on external groups, regardless of the nature and extent of the crises to be addressed. Padgett suggests that donor nations don’t follow through when they feel that local authorities are not up to the task. He cites the insufficient direction and control provided by the previous Haitian president, René Préval, during the 2010 earthquake and the current questions about the leadership and behavior of his successor, Michel Martelly. The governmental dysfunction and corruption since the election of Martelly don’t give public or private sector donors a sense that their moneys will be well used by local agencies, and consequently they either run the moneys through non-Haitian NGOs or sometimes don’t deliver on the pledges at all. Philanthropic investments in Haiti, such as the Caracol Industrial Park, developed with funds from USAID, the Inter American Development Bank, and the Clinton Foundation, haven’t quite hit their mark. Caracol was supposed to generate 65,000 jobs, but so far has produced fewer than 1,500, amid charges that garment factories in the industrial part aren’t even meeting the government’s minimum wage requirement of $6.85 an hour, but paying more like $4.56 an hour. It is odd, however, that members of Congress fret so much about the amount of money going to foreign aid, usually less than one percent of the entire federal budget, when the beneficiaries tend to be, at the outset, for-profit firms inside the Washington Beltway. Typically, around sixty percent of USAID moneys to Haiti goes to and through Beltway for-profit and nonprofit firms. In fiscal 2013, for-profit firms like Chemonics, which got $58 million of USAID’s $270 million for Haiti, were in charge of almost half of USAID funds for Haiti, and U.S.-based nonprofits another 37 percent.